Why do I live in the desert?? Actualy float gives me a more vivid & soft vision than crouch which elicits a hard,harse image. Love Haiku & the dogwoods . Are u familar with this legend of the dogwood? I love writing hiku, it seems Im only good for a few line of poetry, then it all turns to fluff. Beautiful pictures, and a beautiful hiku. I particularly liked the image of the flowers as souls of dead butterflies. Kind of a dark image for spring.. but I like it. Yeah, definitely "float" over "crouch", though crouch goes with the darker allusions, and float is more ethereal. -That was a Martian haiku!" 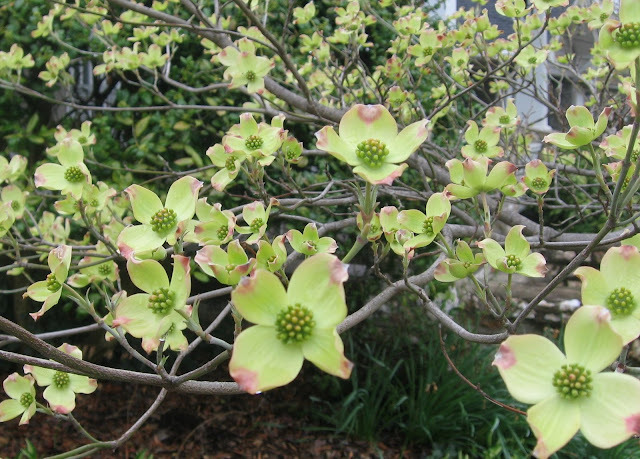 Beautiful picture on your header of the dogwoods - I love them when they're still a bit green too! 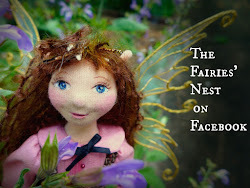 fairies nest - I have TAGGED you! 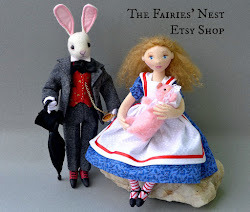 You have to go to my blog to see how the tagging works. you must post 6 bits of information about yourself, and then tag 3 more people!!!! That is a beautiful dogwood! 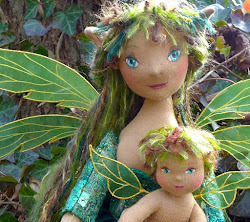 Love the dolls you've been making lately! I love the dogwood motif on your banner! great photo. and those beach haikus were in a class, or perhaps glass, by themselves!